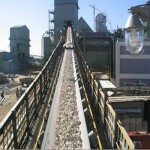 We exports Belt Conveyor in different width from 100 mm to 1800 mm width and in different types such as trough, flat, inclined portable and movable to suit customer applications. Applications: Cement, Steel, sugar, Mining, Construction, Paper and Pulp, Pharma and other light and heavy Engineering Industries. 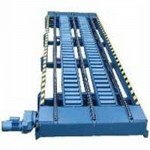 The conveyor are manufactured of various i.e. 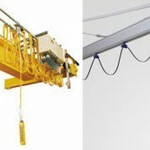 Apron, Slat, U drag, and redler chain types of convey material in horizontal inclined and vertical position. The wire mesh conveyors are used as wire type woven belt using cross at certain distance to have more rigidity in different wire gauges, In MS Galvanised and stainless steel wire and also Honey comb belt manufactured out of S.S and M.S. material. Applications: Annealing, Healing, Baking, Drying, Washing, Dehydrating and Cooling. 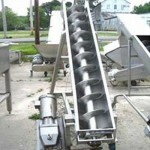 Roller conveyor manufactured in gravity and powerised type in inclined and horizontal position manufactured out of MS, SS and Plastic roller for heavy and light application. Applications: Packaging, light and heavy engineering.